Today is my final day up on the Bella Blvd blog. I have had the wonderful opportunity to be one of their Ongoing Guest Designers this past year and it has been such a great experience. I am so thankful to have had this opportunity. I really love playing and creating with the Bella Blvd products and their new collections from CHA this summer has been no exception!!! I have two layouts to share today. 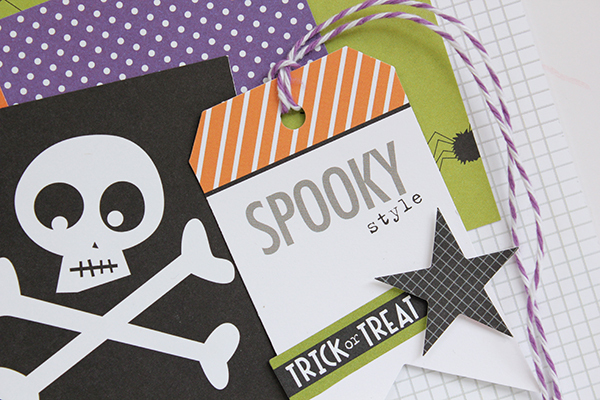 This first layout was created using the new Trick or Treat collection, which is one of my new favorite collections! 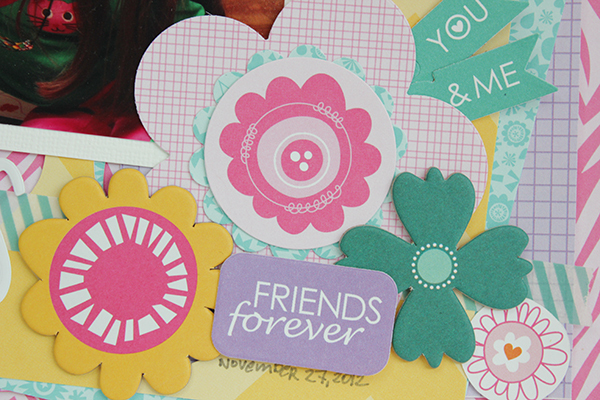 I layered several of the different patterns to create a fun base for my photo and journaling. This photo is of my best friend's daughter. The last time I went to visit was during the weekend that she had her Girl Scout Halloween party and lucky me was there to get some photo of her in her costume! My second layout here uses a mix of collections ranging from Summer 2013 CHA to Summer 2014 CHA and everything in between. I didn't realize how it drew from every release since I have been a part of their team until I was writing this post. I think it is kind of cool how I was able to do that, but it also shows how well ALL of her collections coordinate with each other! 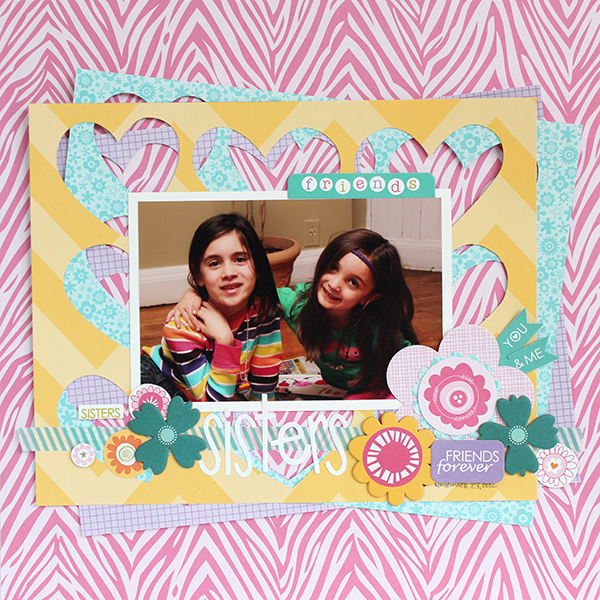 A fun tip about this layout is that the die cut heart pieces behind my photo are "scraps" from another layout. I had saved the large scraps for some crazy reason, but I'm glad I did, because they worked perfectly to layer and place behind my photo. The photo is of my two darling nieces and I just loved how they are being sweet with each other in this photo. It is near impossible to get a photo of the two of them hugging! Thanks so much for stopping by and make sure you head over to the Bella Blvd blog for more details and inspiration from the other guest designers! These are gorgeous!!! I am loving the colors and love love love the negative hearts on the second one!!!! 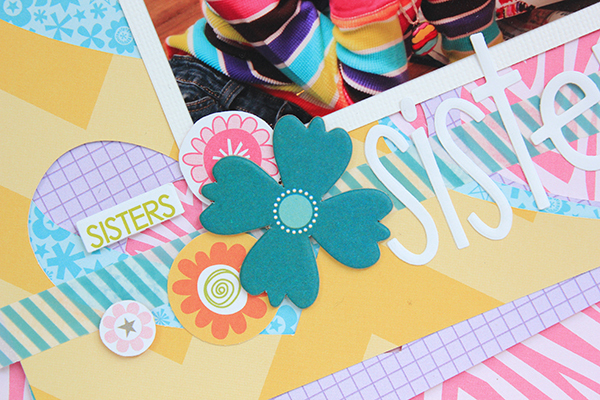 Your pages are gorgeous, Juliana! You have soooo rocked your guest designer stint with Bella! Now they need to ask you on permanently!! I love your projects Juliana. Such fun details and your photos are adorable. I love how you combined collections! These are both wonderful layouts! Love them and your girls are adorable! Awesome pages Juliana!! 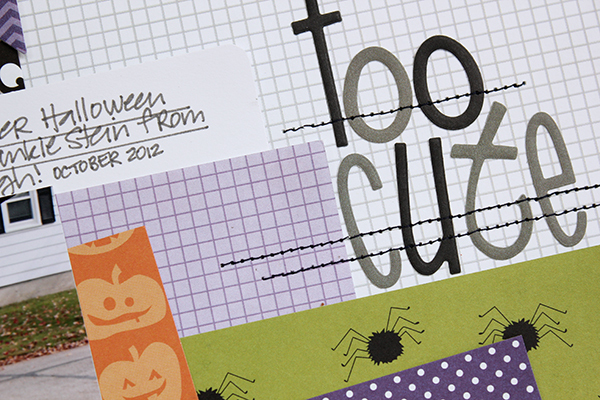 Love that cute Halloween page and the great layers on your second layout! !